This book is the result of years of original research, following a new line of thought when it comes to Chinese porcelain decorations. The observation is a simple one, that in creating decorations that involves people, the artists would somehow be considering the fashion of the day in their depictions. Even if the figures in the decorations were not contemporary, Tommy Eklöf felt that still, the mannerism used in the artists renderings would change over time and then still create a hereto overlooked way to date and authenticate Chinese porcelain – based on facial features and adornments. 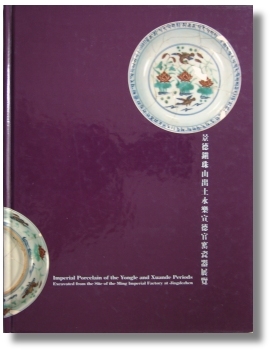 After an original research that have taken several years and several thousands of objects – carefully dated by consensus among experts as well as by traditional means – this book now covers the period from the late Ming dynasty, throughout the Qing dynasty and the Republic Period, up to the present day. While nothing can beat actually handling an object, this book is a shortcut to learning to see the details that the experts are looking at. It is a must have for dealers appraisers and auction houses, as well as the collector, hoping to “beat the game” by knowing just that little more about what tells the copies from the originals. While reading a book is always good, to be able to ask the author is better. Included in all purchases of this book regardless of from which reseller you buy your copy, is one month (30 days) free membership in the Gotheborg.com Discussion Board where the author is a senior member. It illustrates the extraordinary range of styles and decorative patterns, the integration of European and Middle Eastern shapes and designs, and the circulation and uses of exported objects around the world. Superb new photography reveals over 200 pieces illustrates the extraordinary range of styles and decorative patterns of Chinese export porcelain, ranging from bowls, pitchers, and vases, to statuary and much more. Rose Kerr was Former Keeper of the Far Eastern Department at the V&A. Luisa E. Mengoni is a curator and Ming Wilson is a senior curator in the Asian Department at the V&A. Beginning in the sixteenth century when Portuguese traders started importing blue and white porcelain to Europe, Chinese ceramics manufacturers produced goods specifically for export to the West. The industry flourished through the early twentieth century as the market for fine porcelain expanded in Europe and the Americas. 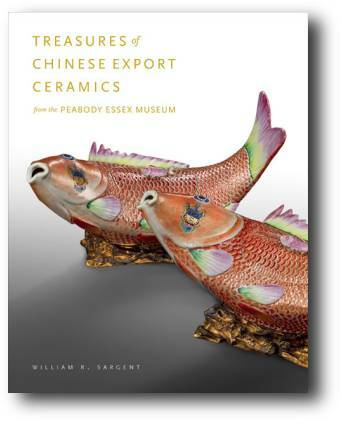 Among the Peabody Essex Museum’s founders in 1799 were sea captains and supercargoes involved in extensive trade with Asia, and many of the remarkable examples of export wares they brought back provided a foundation for the Museum’s world-renowned collection of Chinese export ceramics. 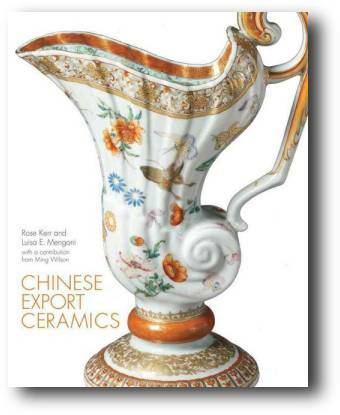 Written by William R. Sargent, a leading expert in the field, Treasures of Chinese Export Ceramics is one of the most authoritative sources on this topic. Its scholarly entries on 287 representative objects that date from the fifteenth to the twentieth century are divided into sections by type of ware. Although these examples only hint at the Museum’s vast holding, together they encompass its broad range of Chinese export ceramics. 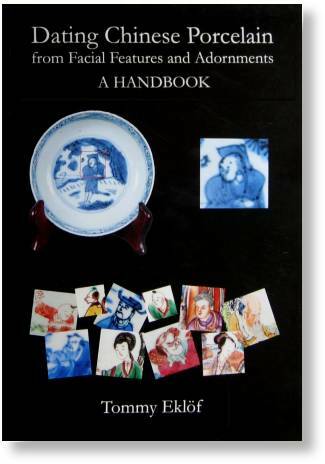 An essay on Jingdezhen, the “Porcelain City,” by Rose Kerr, a glossary of ceramics terminology, and appendix on armorials, and an extensive bibliography all contribute to making this an invaluable resource. William R. Sargent is the former H. A. Crosby Forbes Curator of Asian Export Art at the Peabody Essex Museum. Rose Kerr is Curator Emeritus of the Far Eastern Collection of Chinese Ceramics at the Victoria and Albert Museum, London. 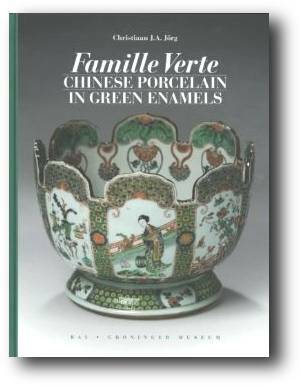 A book and exhibition catalog about Chinese ‘Famille Verte‘ decorated porcelain. As the 19th-century French name implies, the decorations are predominantly painted in different shades of bright green enamels, combined with blue, yellow, red, black and sometimes some gold. The Shunzhi era (1644-61), marking the end of the Ming Dynasty and the beginning of the Qing, was a transitional period in Chinese history. As far as porcelain was concerned, until the last 20 years, it was a little-known reign not only in the West but in China itself. By the late 1630s, painters on porcelain had developed a new, highly recognizable, and successful style. Many of the innovative themes were taken from woodblock prints, with landscapes and narrative scenes particularly inspired by contemporary scroll and album paintings. Soon after 1644, potters began to paint wonderful landscapes, with stylistic devices such as clouds and rock formations used to fill in the “back” of the pot. The beauty and liveliness of the pots’ paintings, along with the evolving shapes of the pots, stands out and makes these years a most significant period the art history of China. In the Shunzhi era, more than any other time in the last 500 years of Chinese porcelain, there was a strong emphasis on individual works of art, each one unique. 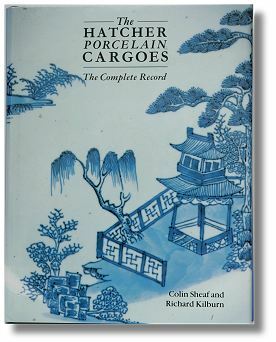 This is hands down the best book on Transitional Porcelain I have ever seen, but no books I have listed here are bad. The list of authors tells it all. I cannot believe why it is so inexpensive. It is very sad if it is because the porcelain prices themselves have gone through the roof but it would not need to be. Pieces from this period between the two last dynasties can still be had and is usually priced below its merits, just because there were no Imperial court around that kept an eye on what the best potters did. From an artistic point if view, this period is a high point in the history of Chinese ceramics. This books shows why. J. J. Lally’s current exhibition catalog is now on line and is also available for purchase. 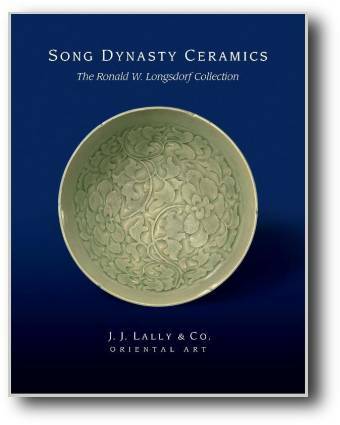 It catalogs an extraordinary collection of Song ceramics. 9.25 x 12.25″, 351 pp., profusely illustrated in color, bibliography, English-language index, Pinyin Subject index, Pinyin Auspicious Phrase index, cloth, d.j., San Francisco, 2006. 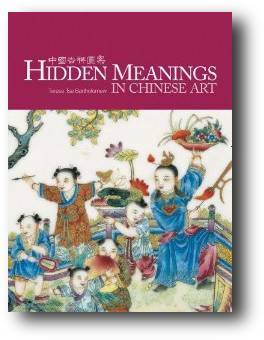 Published on the occasion of the exhibition: Hidden Meanings: Symbolism in Chinese Art, presented at the Asian Art Museum of San Francisco from October 7 through December 31, 2006. Davids, Roy & Jellinek, Dominic: PROVENANCE. Collectors, Dealers and Scholars in the Field of Chinese Ceramics in Britain and America. Great Haseley, 2011. 500 pp. Over 150 illustrations. 28×22 cm. Cloth. 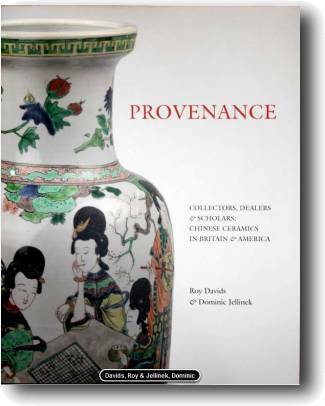 A major resource for the provenance of Chinese ceramics from collections in Britain and America. Contains 1064 biographies of collectors, dealers and scholars from the 17th century collector, Queen Mary II, onwards to the 20th century. 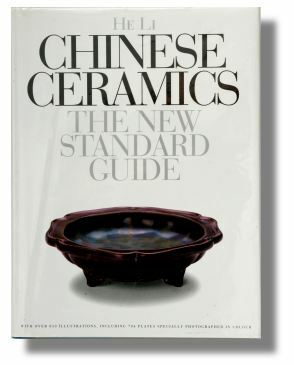 A 40 page introduction traces ceramic contacts between China and Britain and America from the 16th to the 21st centuries. Also includes sections on fakes, the psychology of collecting, a dissertation on export versus domestic wares and much more. Numerous appendices including one on collectors’ labels. 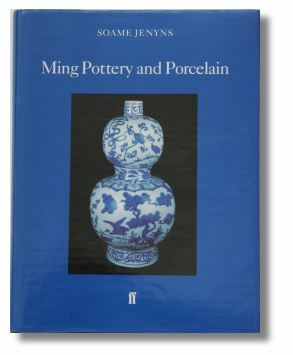 Certainly not the best book to study the ceramics themselves, but if you are interested in the impact of Chinese ceramics collecting in the western culture, this book is irreplaceable. 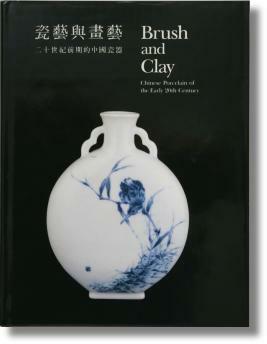 If you really just want one book on Chinese porcelain, I would recommend Chinese Ceramics, by He Li. It covers it all, it’s modern, it’s up to date and it shows good quality pieces from the entire Chinese history and it gives splendid value for money. The title continues: ‘Chinese and Japanese Porcelain of the 19th and 20th Centuries and Their Forerunners’. 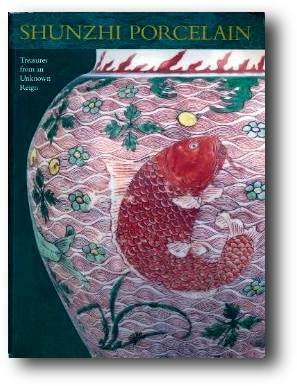 Monograph on the 19th and 20th century Chinese and Japanese porcelain collection of the Berlin antiques dealer and connoisseur Georg Weishaupt. Illustrated throughout in color including bases and seals. 405 pp. 440 colour plates. One of his several works on early Chinese ceramics, this one deals with the Tang dynasty (618-907) and Liao dynasty (947-1125) in his usual very well read up way, in most cases referring back to the Chinese original sources that to a large extent is excavation reports. The only critique I have ever heard about this book is that it is hard to follow from someone not professionally active in the field, who would instead go directly to the Chinese sources. Personally I don’t have a problem with this, and don’t mind having it all translated and summarized, as this have been done by an expert in the filed. Since this book now have some age there are of course more to be known by now, but it still remains a good book. By: Sten Sjöstrand, Sharipah Lok Lok bt., Syed Idrus, Tim Hartill et al. This book is a highly readable presentation of Sten Sjöstrands latest maritime excavation adventure. 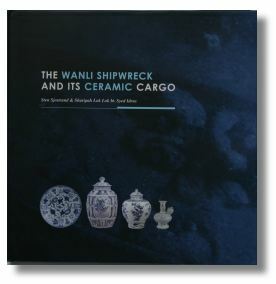 It details the finding and recovery of a cargo of Chinese Wanli style “kraak” porcelain. The book sets a new world standard on how to report on maritime salvage operations. 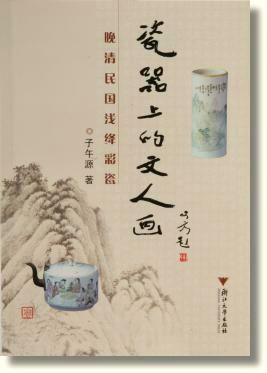 This small book offers splendid value for money to those looking for some illustration of late Qing dynasty literati paintings (Qianjiang) on porcelain. The book shows what was done during the late Qing Dynasty where high artistic standard was developed within a group of Qianjiang color artists, painting on porcelain. The small booklet is extremely well illustrated in color despite its small size. Around 100 items are shown, often from several perspectives; regularly front and back. 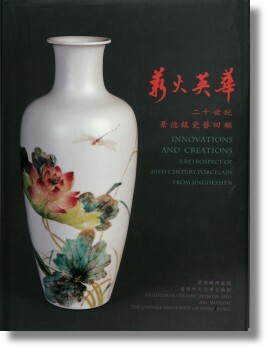 64 artist porcelain painters are presented, the book includes a “China Qianjiang colour artist list” for easy reference. Marks, seals and inscriptions are illustrated and occasionally prices of the items are given. The text is entirely in Chinese. In the captions any date in the inscriptions are given in Arabic numerals. By: Chen Jianxin et al. QIANJIANG CAICI HUA (Qianjiang Painted Porcelains) Geren Licai Shoucang Jianshang Xilie, by Chen Jianxin et al. For Qianjiang pieces this book is one of the better published so far. It illustrates many pieces from more accomplished Qianjiang artists. It’s a useful and well-illustrated addition to the literature on the subject of Qianjiang painted porcelains from the late Qing and Republic periods. Illustrated throughout in color. Text in Chinese. 58 pages introduction in Chinese, 193 pp. colour plates. B/w text illustrations and drawings. 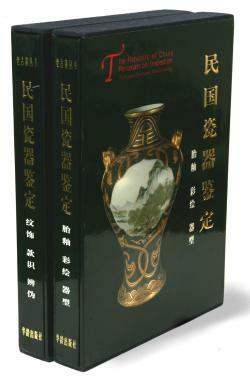 This is one book is a set of two, both written by Tie Yuan and Xi Ming detailing Republican period ceramics. This volume start with a discourse on the production of ceramics complemented by early black-and-white photographs. Follows with an examination of glazes, painting on Republican ceramics and an in-depth presentation of the many new and prevalent shapes from this period. Illustrated with hundreds of color plates showing many previously unpublished pieces. Second book in this set by the same authors continues the in-depth discourse on Republican period ceramics. Many inscriptions on porcelain are shown that include artists’ seals plus hall and studio marks. Finishes with a section on the problem of forgeries of Republican period ceramics and Republican period imitations of earlier works. Both books are recommended on behalf of the illustrations although the text remains a closed door to non-Chinese readers. Dates are occasionally given in western numerals in the captions. Book I – Two foldout color illustrations on porcelain figures. 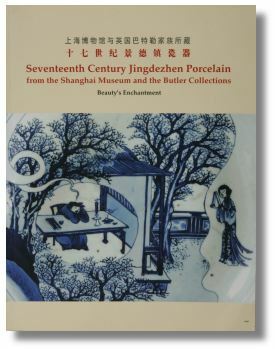 Catalog of an exhibition jointly presented by the Art Museum, The Chinese University of Hong Kong and the Jingdezhen Ceramic Museum which gives an overview of ceramic production in Jingdezhen in the last century. 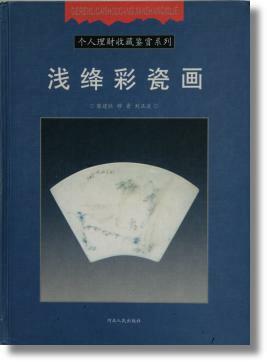 This massive hard bound book is the catalog of a joint exhibition, between the Jingdezhen Institute of Ceramic Archeology and the Fung Ping Shan Museum, the University of Hong Kong in 1992. 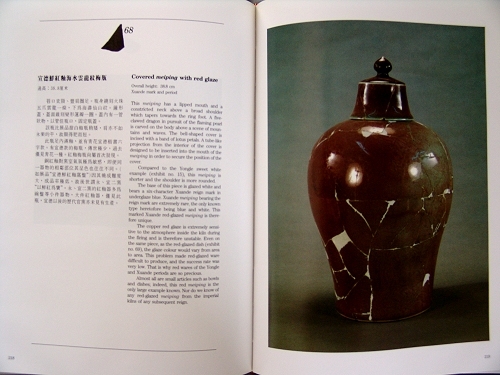 The book includes a report on the excavation work that from the 1970 and onwards was made under the direction of Prof. Liu Xinyuan. 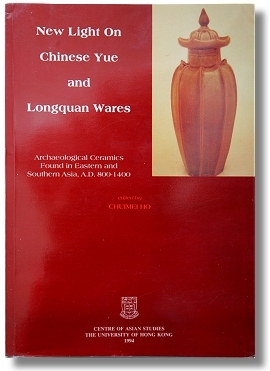 The report covers the first period of ceramic activity during the Five Dynasties when mostly Yue green wares was imitated; over the Song dynasty when the industry stared to boom and the later development into Ming times. The main emphasis is on the early history and Song, some on Yuan and the touching upon the Ming dynasty in general. Since the 1950’s, several important excavations of porcelain wares have been conducted at the site of the Ming Palace in Nanjing, which has proved to be another important find for Ming ceramics in addition to Jingdezhen. In 1964, while the city dredged the Yudai River, ceramic archaeologists from the Nanjing Museum found a large number of ceramic shards, mainly blue and white wares dating from the late Yuan to the early Ming reigns of Hongwu, Yongle and Xuande. Through careful analysis and extensive research, their findings help identify wares of the Hongwu reign and styles and development of porcelain wares in the Yongle and Xuande reigns. The archaeologists also recognized wares produced in the interregnum period during the three reigns of Zhengtong, Jingtai and Tianshun. 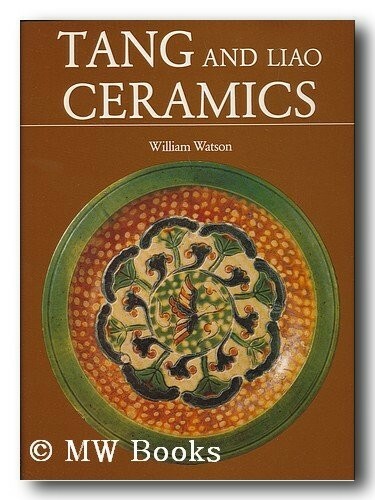 This comprehensive catalog features more than 200 shards illustrated in color-including lead glazed tiles and bricks, porcelain bricks, triangular and circular tile terminals, monochromes, blue and whites and polychromes-together with detailed descriptive entries and two introductory essays. Sheaf, Colin & Kilburn, Richard, The Hatcher Porcelain Cargoes. The Complete Record. Overview and general presentation of the two first of Michael Hatchers porcelain cargoes, the Ming junk cargo (c. 1643-1646) from a seventeenth century Chinese junk, and the Dutch East Indiaman Geldermalsen that foundered in 1752. I think this is a good reference for the Hatcher cargoes, in particular the 1640’s junk. This book and the actual auction catalogs covers it very well. I would not call this book indispensable but the color pictures of the 1640s junk cargo are good and considering the precise dating of the pieces this is a valuable reference. 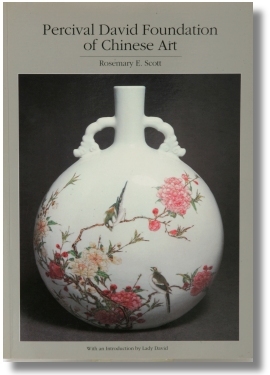 This is a fundamental and quite interesting exhibition catalog of a little published kind of Chinese export porcelain, that went to South East Asia during the 19th century. Som was for every day use, some for restaurants – food hawkers – and some for altar and ceremonial use. If you live in Singapore or Malaysia this is a “must have”. I also think that most other collectors interested in the not so expensive common wares of our last few hundred years would find this interesting. Well illustrated with 35 color pictures, 200 catalog pictures in b/w. plus numerous other b/w figures and maps. First printing Oxford University Press, 1981 (3000 copies). Second printing, 1991 (1500 copies). 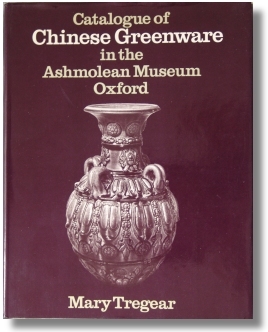 Tregear, Mary, Catalogue of Chinese Greenware in the Ashmolean Museum. This is an old book. A lot of research and discoveries we now think is part of common knowledge was not known when this book was written, still it is the quality of the text that matters. Most of the illustrations are in black and white but it is still a valuable reference work and written by an accomplished scholar. This is a modern book about symbolism found in Chinese art. An A-to-Z catalog of hundreds of symbols represented in the Chinese arts, with images and text to explore their meanings. 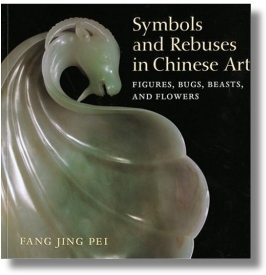 Includes more than 200 color and black-and-white images of ceramics, porcelains, carvings, lacquers, embroidery, paintings, and wood blocks depicting the various symbols. It does not cover everything but what it covers it does well. The pictures are great. What I like about this book and what I believe sets if apart is that it also list much less known symbols like cactus and the five poisons and the “bak choy” pattern etc. It also list the meaning when one symbol is found together with another symbol. Quite a number of the listings also have images for reference. Imperial Porcelain of the Yongle and Xuande Periods. 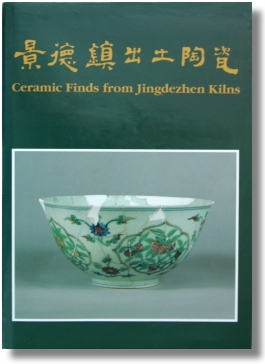 Excavated from the Site of the Ming Imperial Factory at Jingdezhen. Urban Council, Hong Kong, 1989. Far Eastern Ceramics in the Victoria and Albert Museum, Masterpieces from the V&A collection. Sotheby Parke Bernet, London and New York, 1980. 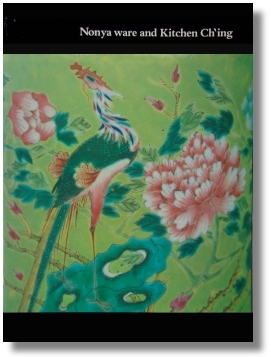 This is an exhibition catalog featuring 165 items from the Simon Kwan collection – ceramic plaques with landscape painting, birds and flower scenes, figurative painting. Vases and bowls with varied decoration. A pioneering work on Chinese Porcelain from the early 20th century, with biographies and works of all major porcelain artists of the period. Included many items completed by the most influential group known as the Eight Friends of Zhushan. 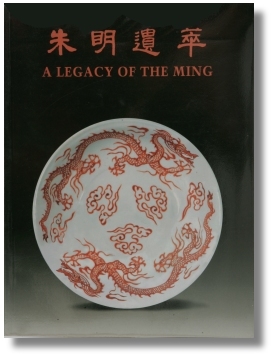 This is the unquestionable best and most wanted book so far written on qianjiang porcelain. The most outstanding feature of porcelain decoration of this period was the predominance of painting with enamels in a style directly inspired by painting on paper. It was also one of the only times in the history of Chinese ceramics when the artists signed their work. 165 colour plates, many text-illustrations, some in colour. Urban Council, Hong Kong, 1990. London: The Foundation and the School of Oriental and African Studies, University of London, 1989. 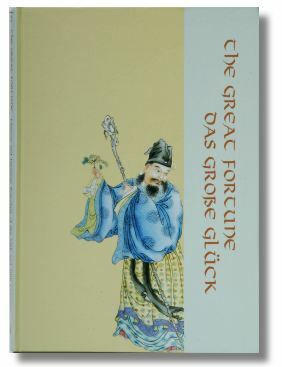 A booklet introducing the Foundation, the founders of the collection, the scope of the collection, and different wares from the Song, Jin, Yuan, Ming and Qing dynasties. Contains essays on the latest research on Chinese green wares. The material consists of 20 papers presented on a conference on Zhejiang green wares from the ninth through the Fourteenth Century. It covers mainly three topics; the production of Yue and Longquan (Celadon) wares; domestic and overseas distribution, and; their influence on products from other ceramic centers. From an academic point of view this is a reference publication that will remain important for years to come. I believe it is also interesting for the serious student. My paperback version is a bit too heavy for its binding. Figures and maps, mostly in black and white. Hong Kong: Centre of Asian Studies, The University of Hong Kong, 1994. (BAR international series ; 428). Oxford, U. K.: B.A.R., 1988. A detailed report on the kiln finds of Minan blue-and-white wares, in southern Fujian, with descriptions of five districts of sites and localities, technical skills used, organization of the production, thoughts for further research. Orogonally published in 1953, this 2nd edition has a foreword by Margaret Medley, an introduction by William Watson, and has added more color plates. 2nd ed. London: Faber, 1988. The bibliography is an updated version.